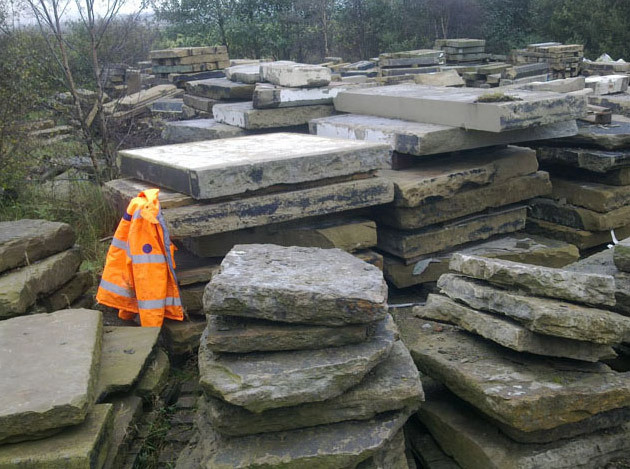 Reclaimed Yorkstone flags are one of our specialities, and we have 1000’s of square meters of them in stock at any one time. Never mind the cheaper alternatives – Indian flags are all well and good… in Mumbai! If you want a product that will stand the test of time in the UK climate there is only one product, and that’s a York stone Flag. Hewn from quarries amongst the harsh Northern Moors, these stalwarts of hard-stone paving grace the public areas of our capital city, from Trafalgar Square and across many other towns and cities throughout the Country. 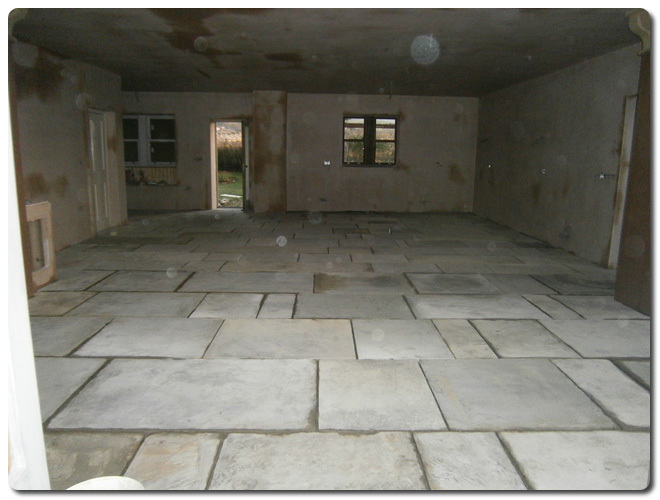 Beautiful natural Yorkstone paving will last hundreds, if not thousands of years; so that’s FOREVER in our book. Don’t skimp on natural products, they will serve you well and will look like the proverbial canine’s male bits. Quantity available: Small or Large quantities always in stock. For the perfect internal floor finish; cut to uniform thickness to suit your requirements, and in a choice of finishes from highly riven to smooth flat. Quantity available: Thousands of m2 always in stock. 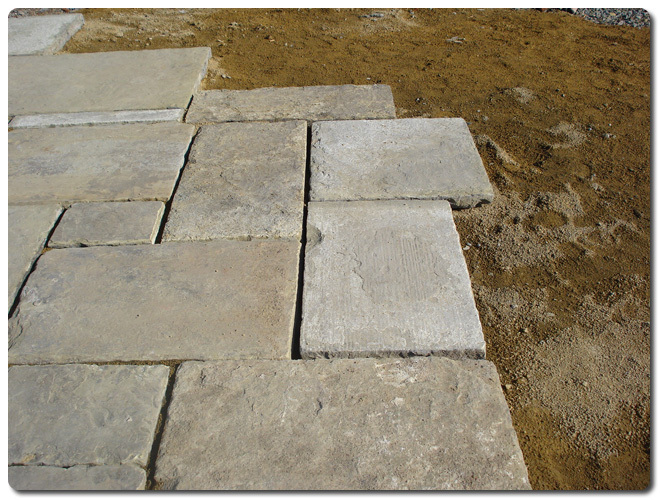 Good quality Yorkstone mill flags suitable for any hard standing area such as driveways or patios; paths or courtyards. Flags are between 4” and 5” thick and can be either smooth or ‘riven’ finish. 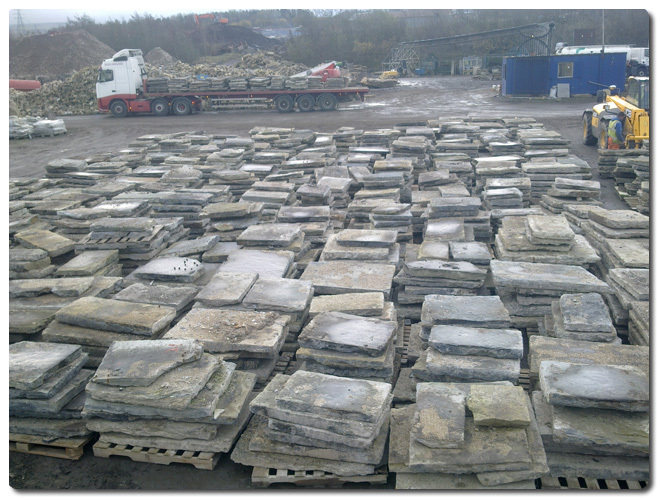 York stone flags hand selected and palletised (see photos), in greys, buffs and browns. Flags always in stock. Call us with your requirements. Yorkstone flags, ‘backed-off’ where our stone masons have worked them to reduce the thickness, making them easier to handle and lay, but leaving the surface of the flag untouched and natural in both colour and texture. 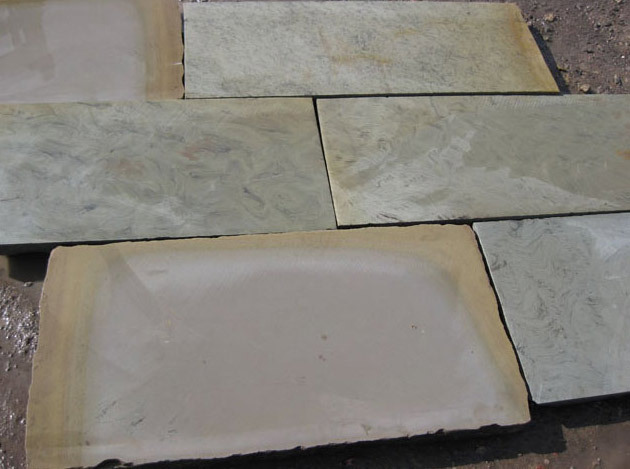 New sawn flags available from reclaimed Yorkstone, or newly quarried stone. Flags can be sawn in to any thickness. These larger thicker flags are ideal for areas where heavier vehicles or larger volumes of traffic are required. These large slabs are also useful as plinth tops; table features, or can be stood vertically as monolith-style feature structures. 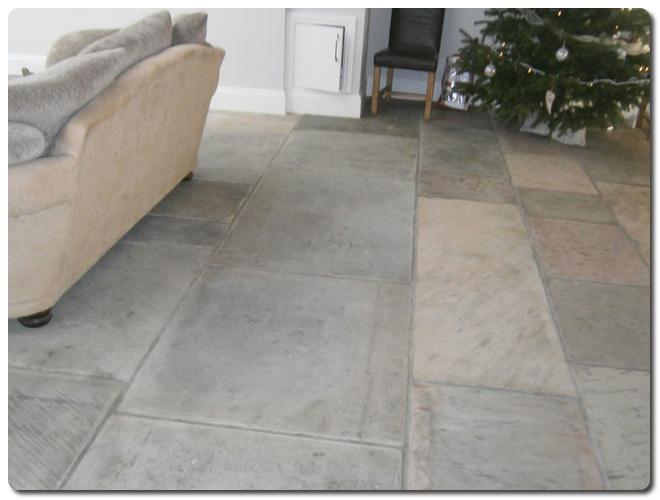 Excellent reclaimed Yorkstone flags/stone paving. Always in stock. Varying thickness and suitable for all paving projects; either internal of external. Call Richard on 01254 233227 / or email richard@steptoesyard.co.uk with your specific size requirement for our most competitive rates. 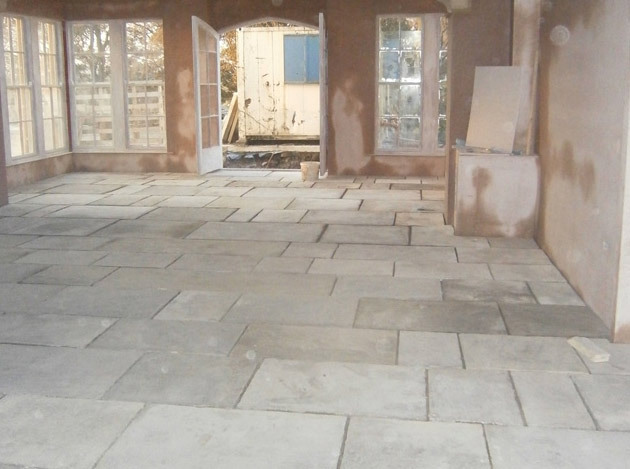 We were commissioned to supply these fantastic Yorkstone flags for a high-quality kitchen refurbishment and Orangery extension project in West Craven. The flags were installed above an under-floor heating system and therefore the finished depth of flag was critical to ensure a uniform installation and efficient transfer of ground heat into the room. The flags were specially selected into uniform course sizes and the client specified a random mix of natural in the finish, from the general buffs, fawns greys, through to beautiful pinks. The finished result was nothing short of spectacular and the client couldnt have been happier. These flags were supplied and delivered at £85 per yd2. 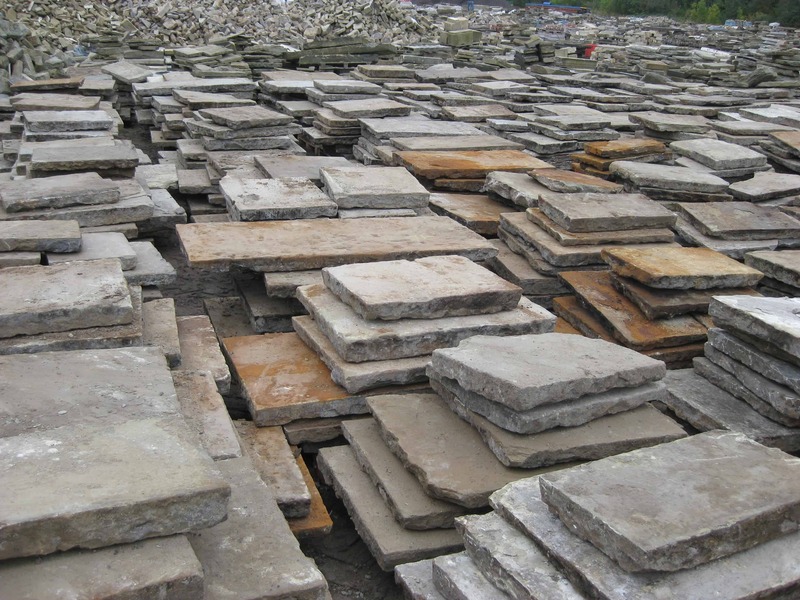 If you are looking for a paving or flooring solution that will last like no other, you really should consider our huge range of reclaimed Yorkstone products. 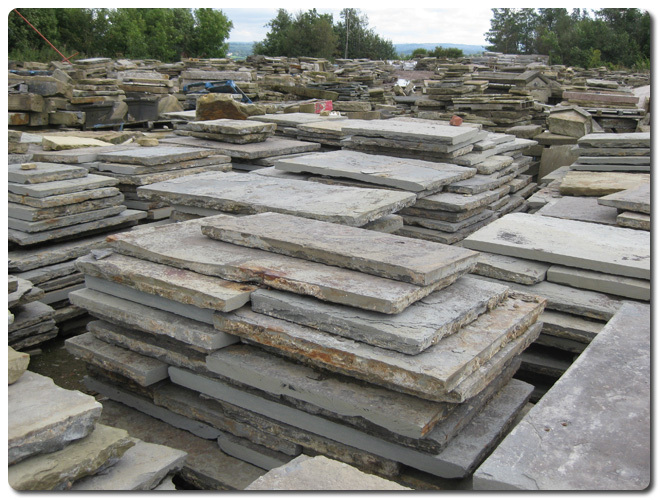 We have thousands of Yorkstone flags in stock in our yard and we can cater for any requirements no matter how bespoke. 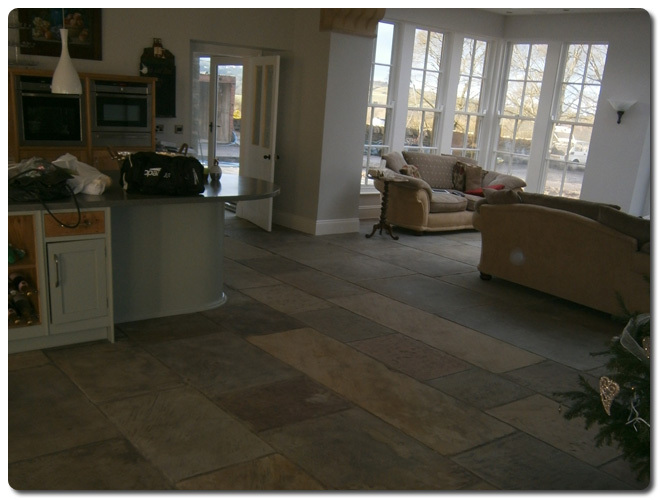 Call us today to discuss your exact requirements and we will be more than happy to provide you with a no obligation, free quote for supplying you with reclaimed Yorkstone.